China is getting a slow start out of the gate this year, growing at its slowest pace in seven years during the first quarter. 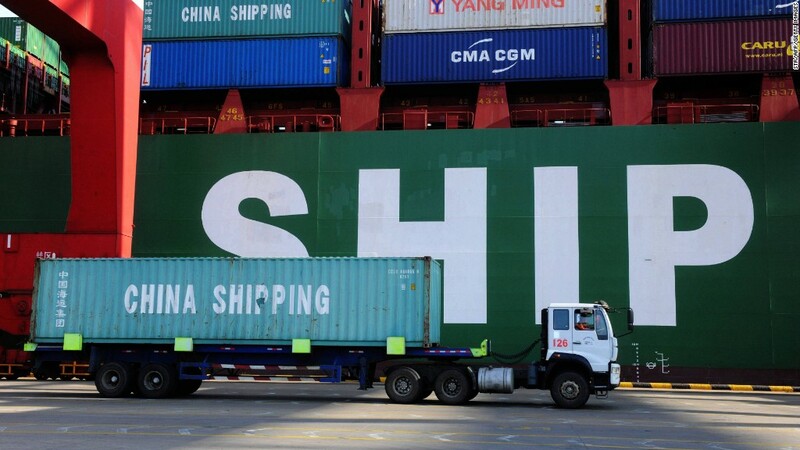 Gross domestic product expanded by 6.7% in the three months ended March, compared with the same period a year earlier, according to China's National Bureau of Statistics. That's a tick above the 6.6% growth economists expected, according to the median estimate of a CNNMoney survey. While this represents China's weakest quarter since the dark days of the financial crisis in early 2009, it is still "a milder deceleration than many had feared until recently," said Louis Kuijs of Oxford Economics. "This recent improvement in momentum should continue to support the economy in the [second quarter]," Kuijs said. But the outlook remains subdued, and "the government will need to continue to rely on stimulus, notably infrastructure investment," in order to meet its own growth goals. Before Friday's announcement, economists surveyed by CNNMoney forecast GDP growth to slow further to 6.3% for the year, falling short of the government's own target of 6.5% to 7%. That compares with annual expansion of 6.9% in 2015. After years of explosive growth, China's economy is now cooling fast, partly because of government efforts to shift China's growth engine away from manufacturing and toward the services sector. Much of the economic data issued this year -- from trade to factory activity -- have painted a ho-hum picture of growth. Some of the weakness can be attributed to the Lunar New Year, which fell in early February, and is a time when businesses and factories close. But the pain is being felt widely. China announced in late February that it was planning to shed 1.8 million coal and steel jobs in an effort to reduce excess capacity. The cuts represent about 20% and 11% of China's coal and steel jobs, respectively, according to IHS Insight. Some experts say a bit of relief is around the corner. UBS economist Ning Zhang said that upcoming economic data is expected to show the beginnings of a rebound, thanks to an improving property sector and extra fiscal and credit support. China is coming off a turbulent 2015 for markets and the yuan, which undermined investor confidence in Chinese authorities' ability to smoothly manage the economic slowdown following decades of torrid growth.